Regarding SR 535 and border policy issues. Joined by Lt. 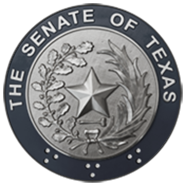 Governor Dan Patrick, Senators Brian Birdwell, Dawn Buckingham, Donna Campbell, Brandon Creighton, Pat Fallon, Pete Flores, Bob Hall, Kelly Hancock, Joan Huffman, Bryan Hughes, Jane Nelson, Robert Nichols, Angela Paxton, Charles Perry, Kel Seliger and Larry Taylor, and U.S. Senators John Cornyn and Ted Cruz. Regarding SR 535 and border policy issues. Joined by Senators Nathan Johnson, José Menéndez and Royce West, Representative Mary González, and U.S. Representative Joaquin Castro. Regarding legislation relating to surprise medical billing. Joined by Senator John Whitmire, and Representatives Trey Martinez Fischer and Tom Oliverson. Regarding support for survivors of domestic violence. Joined by members of the Texas Council on Family Violence. Regarding safety and effectiveness of early childhood education in Texas. Joined by Senator Kirk Watson, Representatives John Raney and James White, and others. Regarding access to abortion and other reproductive health services. Regarding proposed legislation relating to Hurricane Harvey recovery. Joined by Senator Lois Kolkhorst (SB 6), Senator Brandon Creighton (SB 7), and Senator Charles Perry (SB 8). Also joined by Senators Carol Alvarado, Paul Bettencourt, Bob Hall, Joan Huffman, and Larry Taylor, as well as Fulton Mayor Jimmy Kendrick and Refugio County Sheriff Raul "Pinky" Gonzales.